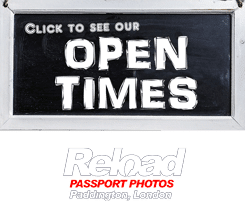 Reload Internet is a Passport photo studio situated in Paddington, London that can take your Hungarian passport photo or visa photo and print instantly. We take Hungarian passport and visa photos in our store and our staff will ensure that your photo is taken using the appropriate background and lighting desired by the Hungarian Embassy. We will take, print and prepare your Hungarian passport photo or visa photo instantly while you wait in our store, and aim to have your photographs ready within 5 minutes of your arrival. We are open every day of the week from early in the morning until late into the evening, even on a Sunday we close at 8pm! 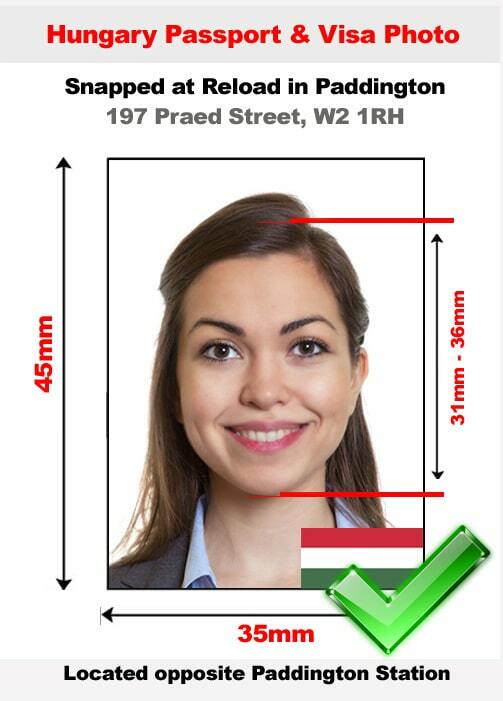 Our charge for a set of 6 Hungarian passport photo or visa photos is only £9.99 and we can guarantee that the photographs you receive from us will pass at the Embassy of Hungary. Watch the video to learn more information on Hungarian passport and visa photos or to see how efficient we are with producing them. You need to ensure that you have photos with high quality that meet all of the specifications so that the Embassy of Hungary can easily identify you and won’t reject your application. The standards they require may not attainable if you make use of instant photo kiosks or a home computer to try and produce a Hungarian passport photo or visa photo. We have had various customers whose applications were rejected because they used methods similar to these, and as a result they paid us a visit to get the correct details of a Hungarian passport photo or visa photo. Picking Reload Internet for your visa Hungarian passport photo or visa photo can help you in avoiding hold ups that may occur with your application. You must ensure that you have photographs which are clear and can be used to identify you easily when you are entering Hungary. Your photos should be less than 6 months old and must be in focus without any reflections or imperfections that can have an impact on the overall quality of the photograph. You should have a clear complexion on the photographs, and avoid using an excessive amount of make-up or anything that could alter your appearance drastically. The color of the background must be pale colored or white. There should be no shadows on the face of the applicant or the backdrop. Dark clothing is also suggested. Under religious and medical situations, headwear is allowed. All facial features must be noticeable from the bottom of the chin to the hairline of the applicant, as well as both the edges of your face being displayed. The photos should have adequate contrast and brightness, and should also be printed on quality paper at high resolution. Photographs that have been digitally edited will be rejected. If your photo is does not meet the specifications above, it might be declined by the Hungarian Embassy. At Reload Internet we can guarantee that your photograph will pass and we will make sure your application doesn’t experience this. Our specifications are received directly from the official Embassy of Hungary’s guidelines on passport and visa photographs, which can be found here.